There is no doubt that Sony is the leader in the camcorder market. 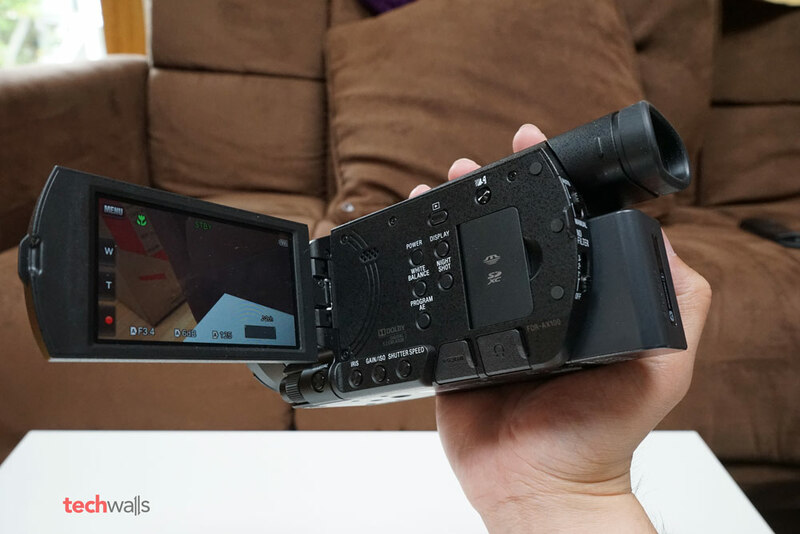 Not long ago, I reviewed the Sony FDR-AX33 and concluded that is the only camcorder you should buy. So how about the Sony FDR-AX100, the camcorder released 1 year earlier? 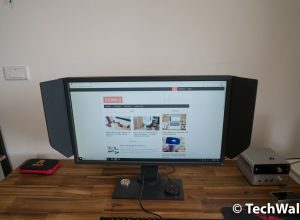 Is it worth buying? Let’s find out in the review. 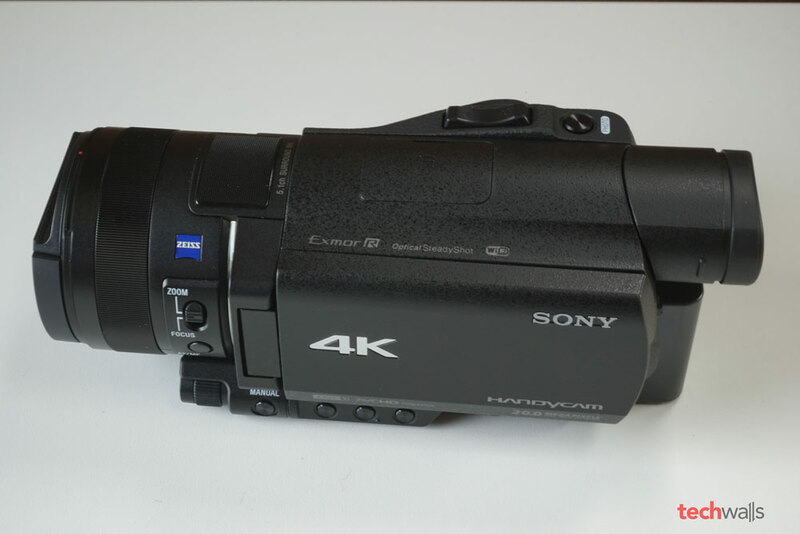 The Sony FDR-AX100 was among the first consumer 4K camcorders on the market. It was released last year when Sony introduced some 4K TVs and we didn’t have much 4K content to watch on our TVs. Its MSRP was $2,000 at that time but it is significantly lower now. 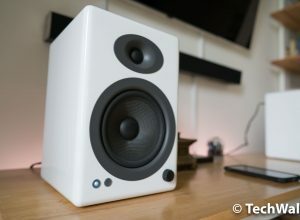 As compared to the new FDR-AX33, the FDR-AX100 is notably bigger and heavier. The AX100 weighs 2 lbs and measures 3.25″ x 3.4″ x 7.75″ in dimensions while the AX33 is shorter and weighs just over 1.4 lbs. 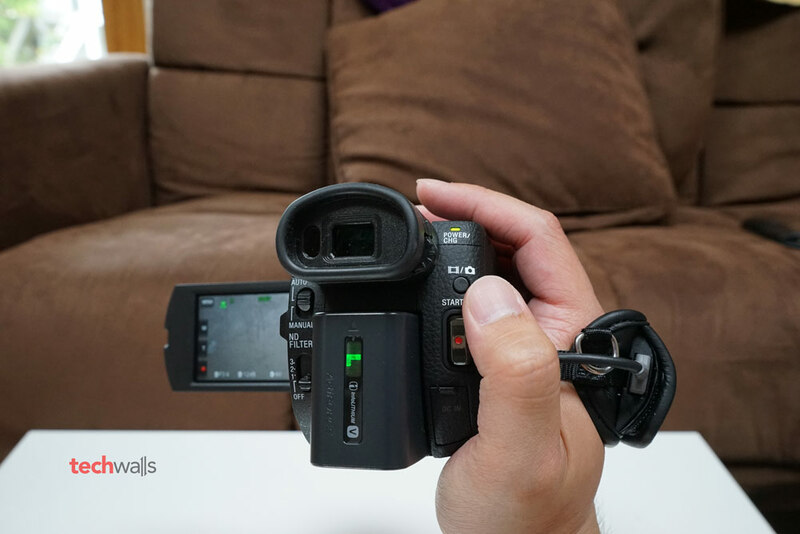 The AX100 has the size of a mini-DV camcorder that was very popular in the previous decade. You can feel the weight after a while but in general, this is still a manageable size for a video recorder. I had no problem using it as a handheld camcorder in the last few months, and also mounted it to my tripod and record some videos for TechWalls. 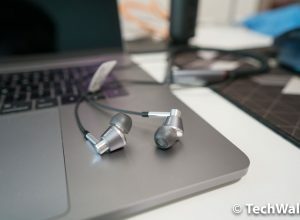 The design of the AX100 is similar to the AX33. You can see they have the same button layout, the same fold-out LCD touch screen and OLED viewfinder. What makes them different is the addition of some controls. The OLED viewfinder on AX100 is adjustable, you can pull it out and swivel up. Besides, there are 3 buttons for Iris, Gain/ISO and Shutter Speed, and an extra small control ring near the front to adjust those settings. On the right side, there is focus magnifier button, and you can also adjust built-in ND filters on the back. The camera features a 1″ back-illuminated Exmor R CMOS sensor, this is bigger than sensors found in other camcorders and it is supposed to help produce noise-free videos. It uses the wide-angle 29-mm Carl Zeiss Vario Sonnar T* lens with 12x optical zoom and this is probably what makes the camera longer and heavier. 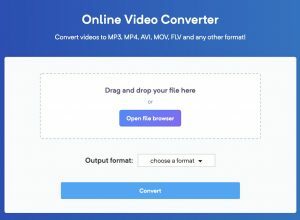 The UI of the camcorder is quite intuitive but there are a lot of options, so you might need a little white to get used to it. As I used some Sony camcorders in the past, this is not a problem for me. The only issue is probably the LCD touch screen, it is not as responsive as the touch screen on my smartphones, and I always need some pressure to push an on-screen button. This also affects the focusing ability because I have to press on the screen to refocus on another object. The camera can capture 4K Ultra-HD videos, 60p movies at full-HD resolution in XAVC S format, 120p movies for slow-motion playback and 20 MP still images. You can check out some footages below. 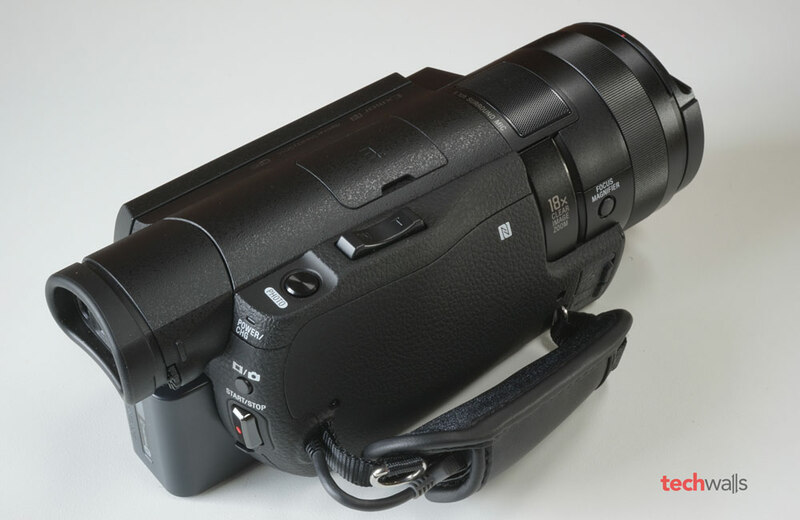 The AX100 even has a better zoom with 12x optical zoom and 24x Clear Image digital zoom. Of course you should use the optical zoom only because videos recorded with digital zoom are almost unusable. I’m also impressed with performance of the Optical SteadyShot image stabilization with active mode, the 3-Way-Shake-Canceling engine adds electronic roll stability, however, it is not as great as the B.O.S.S. stabilization on AX33. I expected a lot in low-light performance of the AX100 because it includes a big 1″ sensor. I tested it in the Intelligent automatic mode first and I was quite disappointed because there are still a lot of noises. The footages appear to be brighter than real life and even overexposed sometimes, so I had to switch to Manual mode and test again. And the result is amazingly good. The colors and lighting become more accurate and the image is a lot smoother. Therefore, I will recommend you to turn on the manual mode when filming in low-light environments. Otherwise, you can use the camcorder in automatic mode most of the time. I tried playing the 4K videos on my 60-inch TV and quite satisfied with the details and vibrant colors it could capture. Everything is great about this 4K camcorder but if you need a camcorder for traveling, I will recommend the Sony FDR-AX33 as it is cheaper, lighter and has a better image stabilization system. If you want a 4K camcorder to use on your tripod or in stable conditions, there is no better choice than the AX100. A great 4K camcorder but it is not for everyone.